A place on the podium the prize; Brazil, followed by Argentina and Peru emerged the most successful nations on duty when play closed on the first day of action, Wednesday 17th May, at the 2017 South American Under 13 and Under 11 Championships in Asuncion, Paraguay. Two groups in the initial stage of each event, teams finishing in first and second places in each group advanced to the semi-finals. 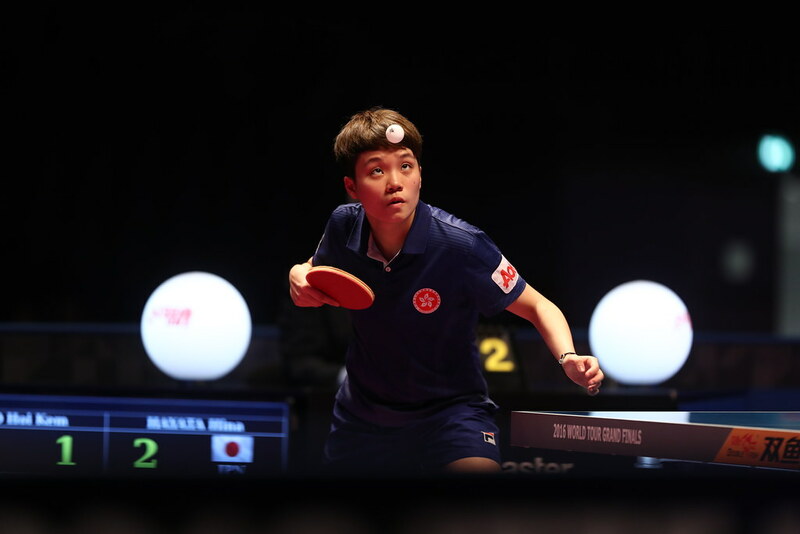 Selecting from Gustav Gertsmann, Henrique Noguti, Shim Joon and Luigi Yamana; Brazil duly secured first place in their Under 13 Boys’ Team event group. They finished ahead of the Ecuador trio formed by Jeremy Cedeño, Huan Nogales and Diego Piguave. In the corresponding group, Peru who selected from Carlos Fernandez, Nicolas Luna, David Mamani and Adrian Rubinos secured top spot with the Argentine trio of Ulises Lemos, Tomas Sanchi and Franco Spinelli in second place. Likewise, in both the Under 13 Girls’ Team event and the Under 11 Boys’ Team competition, Brazil ended the day in top spot. Impressively, in the former, represented by Laira Silva, Giulia Takahashi and Laura Watanabe, top spot was seized ahead of Peru’s Ana Aragon, Lucciana Cisneros and Maria Maldonado. Similarly, in the latter, it was first place for Guilherme Marchiori, and Leonardo IIzuka with Ecuador’s Esteban Alban, Joel Espinoza and Henry Ibarra in runners up spot. Responding to the occasion, in the adjacent groups, in the Under 13 Girls’ Team competition Argentina’s Divina Ding and Elea Hernandez finished in first place with the Chilean selection of Fernanda Araneda, Josefina Lara and Catalina Muñoz next in line. In the Under 11 Boys’ Team event, Argentina with Nicolas Callaba, Tiago Peralta and Tomas Saavedra Alin in action secured first place; runners up spot was claimed by the Peruvian quartet of Angelo Ardito, Mali Puerta, Fernando Ortiz and Renzo Zeballos. Meanwhile, in the Under 11 Girls’ Team event, Peru’s Ana Yenobi and Valentina Zea finished ahead of Ecuador’s Angelica Arellano and Maria Jose Borja; Colombia’s Ana Isaza and Mariana Ruiz secured top spot ahead of the Chilean outfit comprising Martina Montecino, Sofia Perez, Marcia Valenzuela and Catalina Zuniga. Play in the team events concludes on Thursday 18th May.